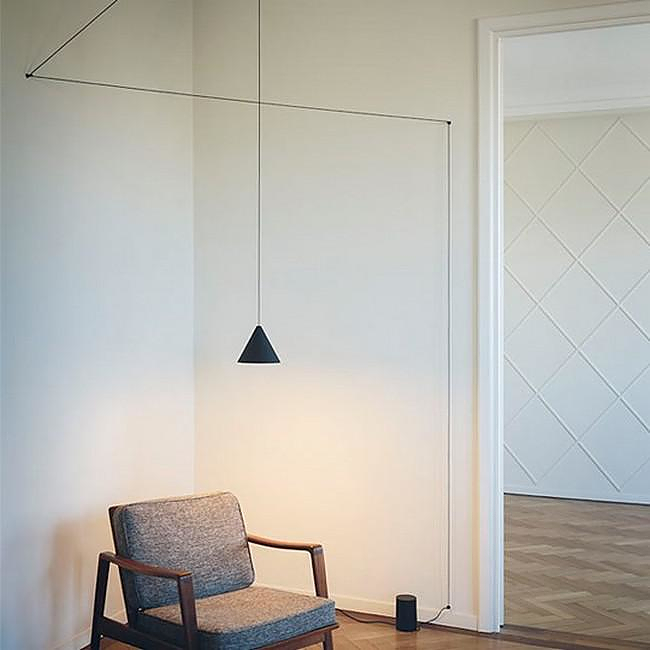 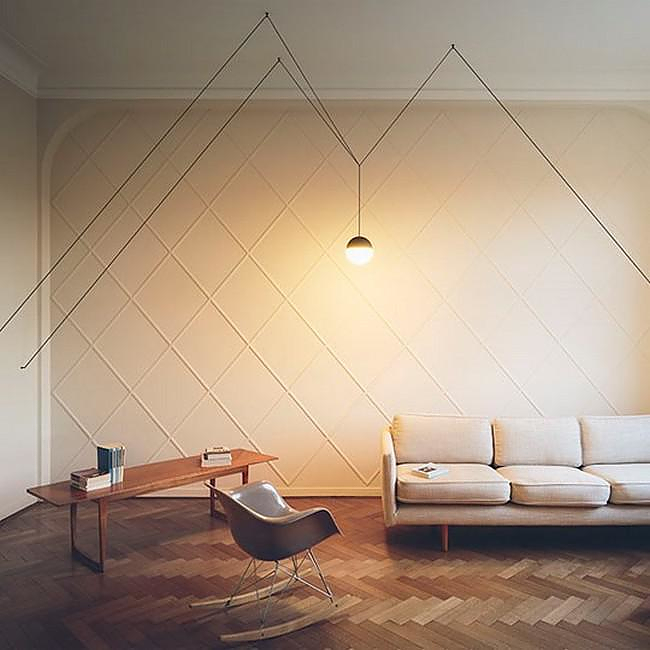 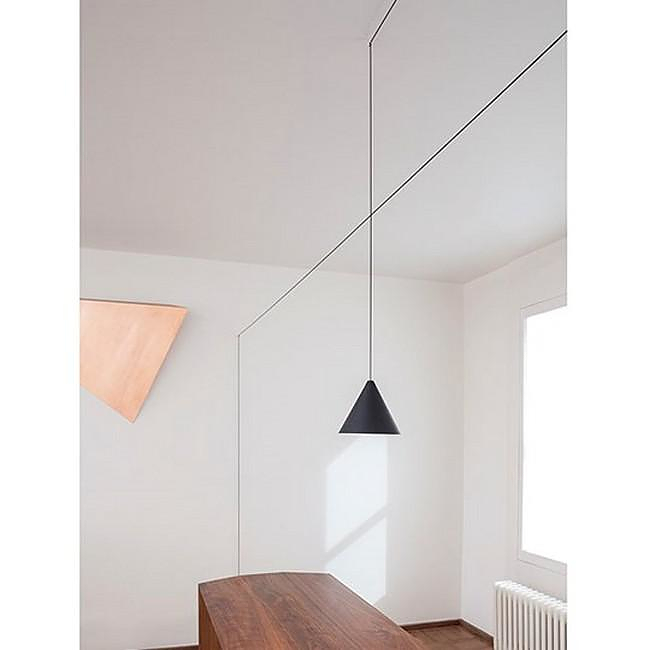 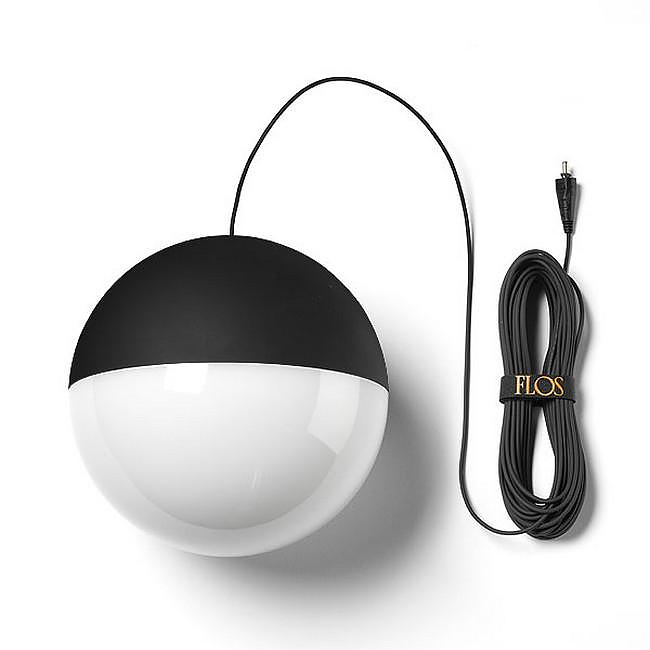 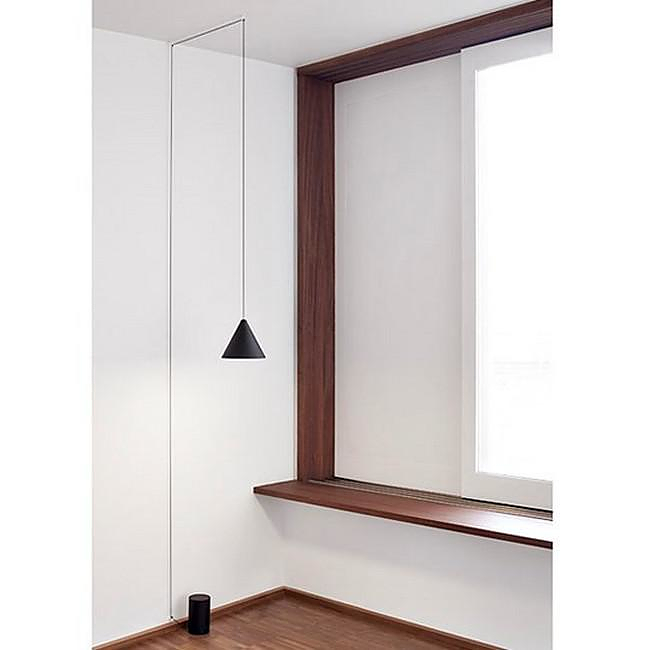 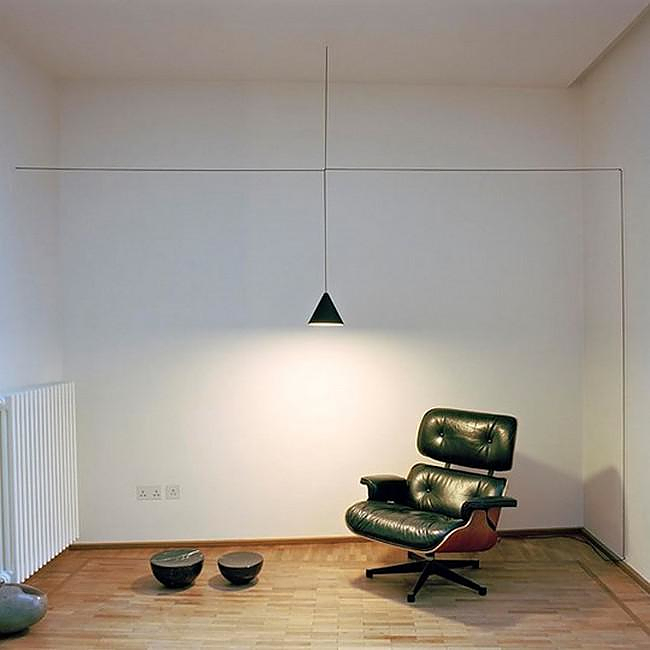 HomeBlogHome DecorString Lights by Michael Anastassiades for Flos. 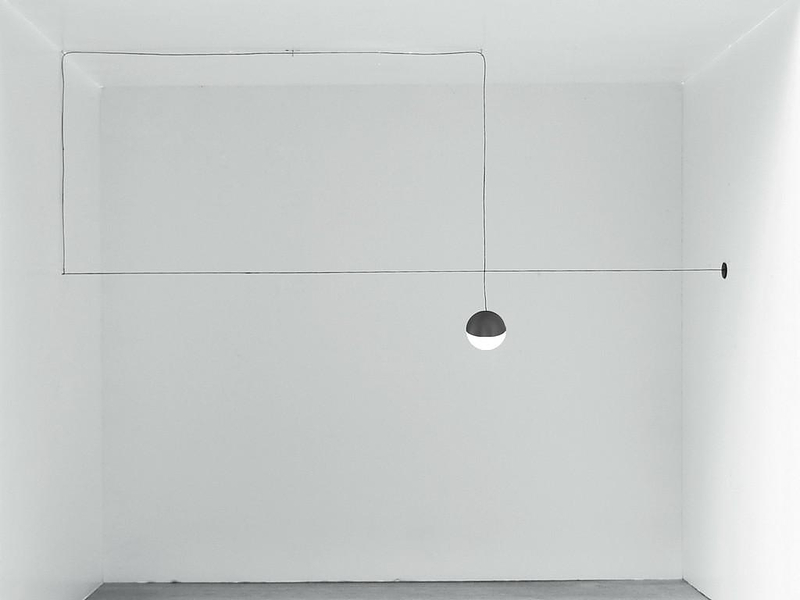 Cypriot designer Michael Anastassiades impresses us yet again with his new ingeniously minimalist collection of pendant lights, designed for world renowned Italian lighting manufacturer Flos. 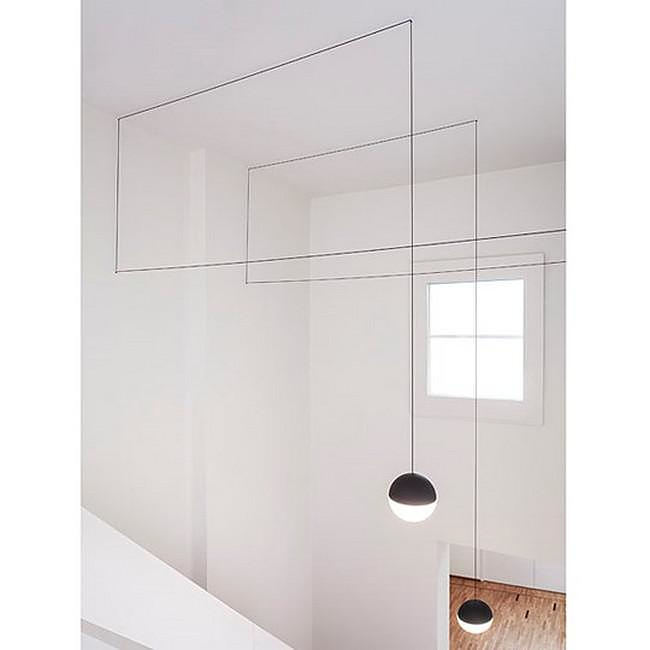 Back in 2012 we were excited to present another stunning example of his work the Kinetic Lights by Michael Anastasiades, this time we present you the String Lights, another perfect example of linear minimalism. 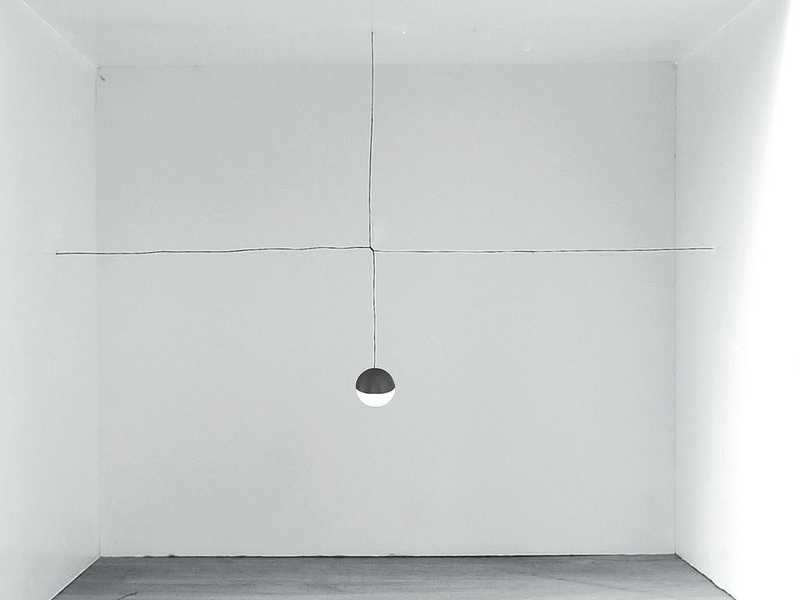 Michael Anastassiades is well known for his minimal aesthetics and his love for simple geometric forms, and the String Lights remain true to his defining individual style. 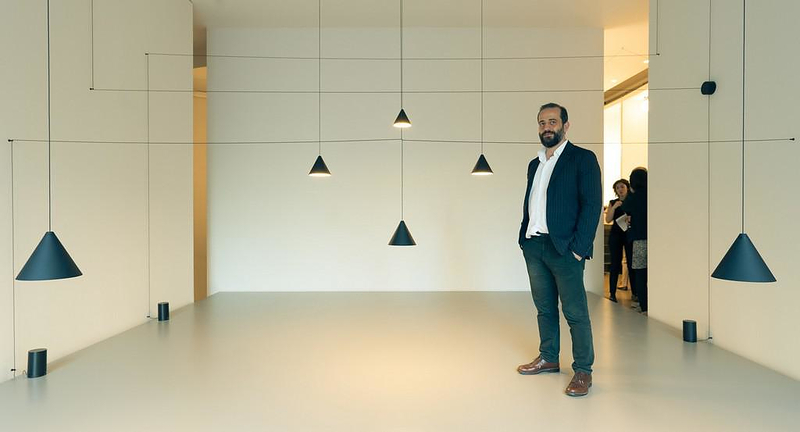 The String Lights initially were presented as an artistic light installation, firstly at his home and studio space in London and secondly at the Euroluce Expo in Milan (2013). 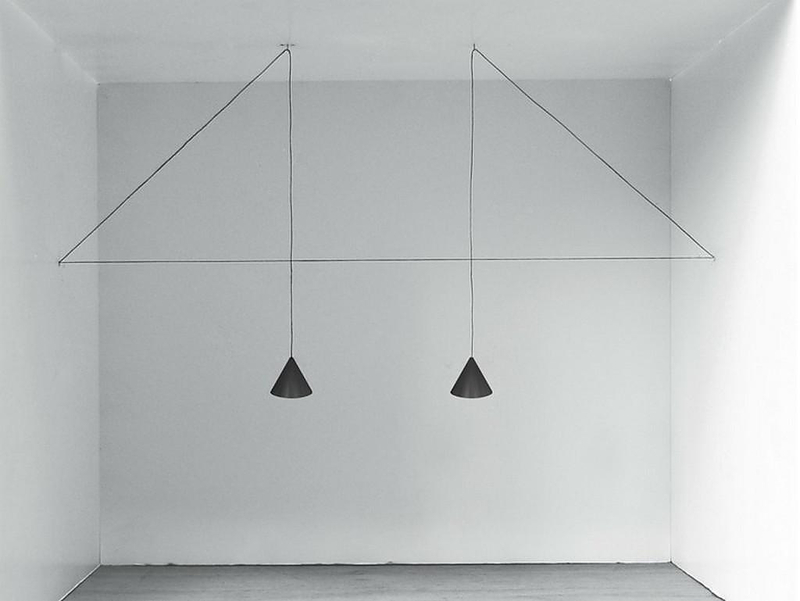 These inspiringly purist designs impressed viewers and critics alike, this overwhelmingly positive response thankfully guaranteed that the string lights wold make it to production. 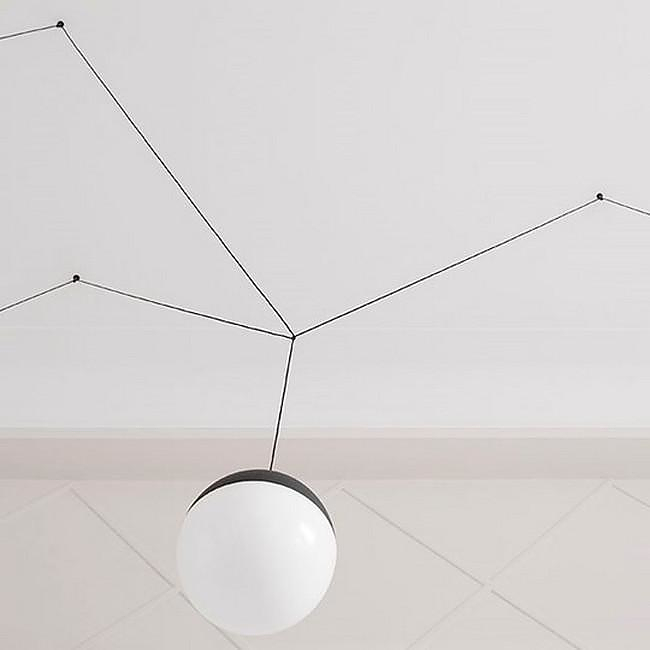 Minimal and poetic like a pencil line drawn in the air, String Lights are original and breathtaking, both conceptually simple and bold at the same time. 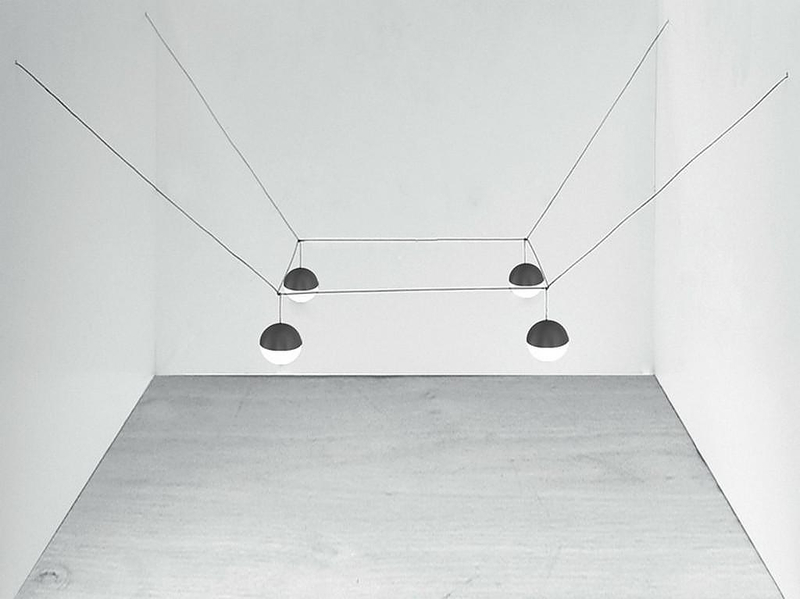 Anastassiades is constantly seeking the primordial and original essence of forms and materials. 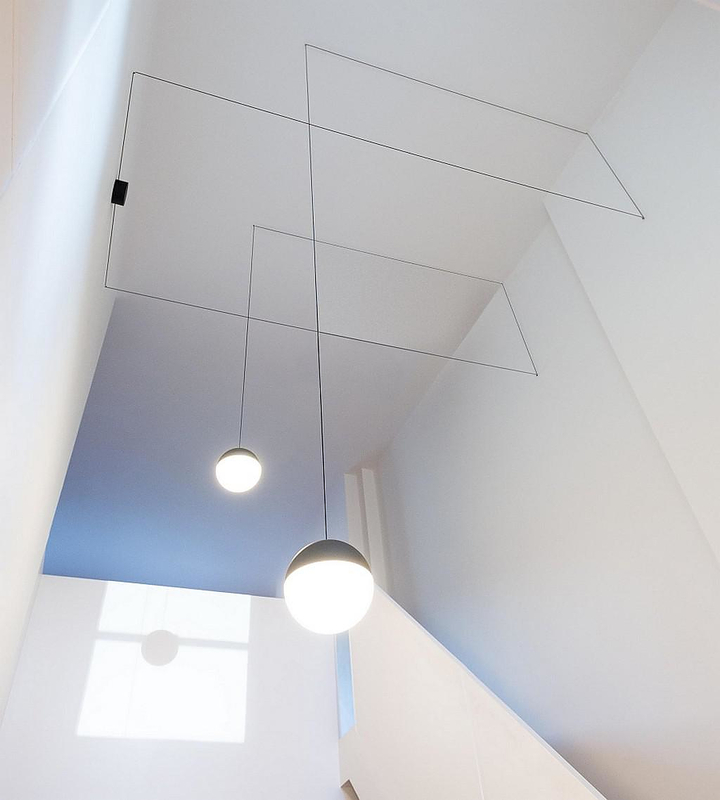 His designs are always in a search for purity, which derives from subtraction. 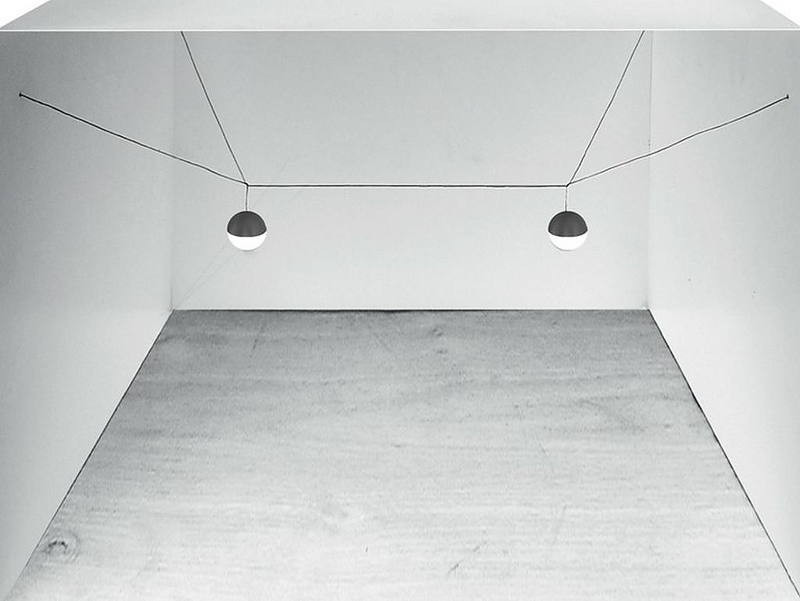 An exercise of stripping away, taking objects and materials back their original dimension of bareness. 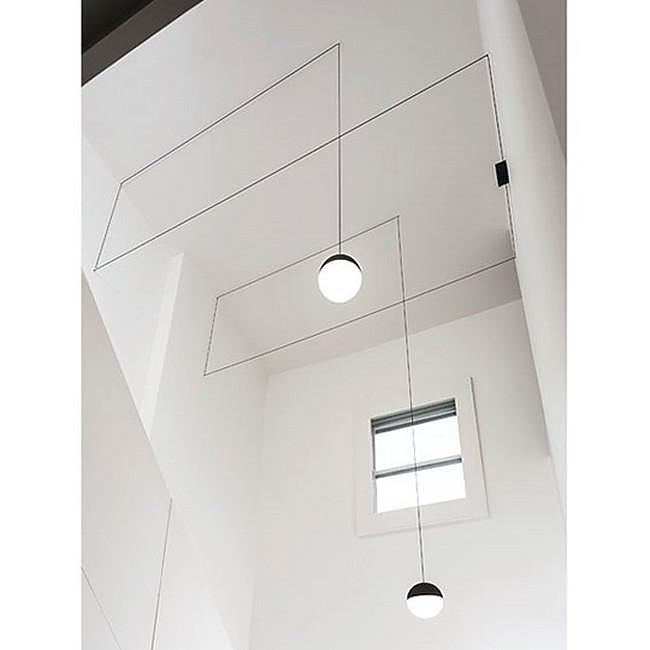 One of the most interesting facts about this work is the source of his inspiration which were the transmission towers and power lines commonly found on many urban as well as rural sceneries. 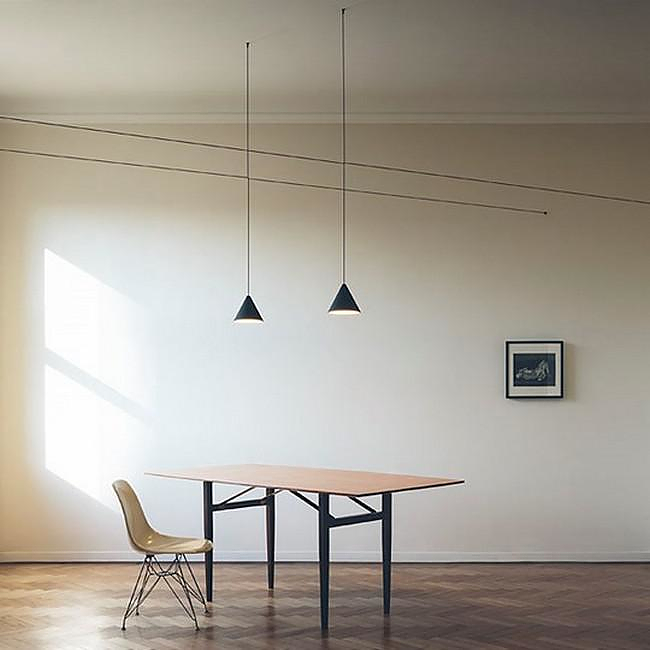 The String Light collection features black cables hanging in geometrical grids of various linear forms. 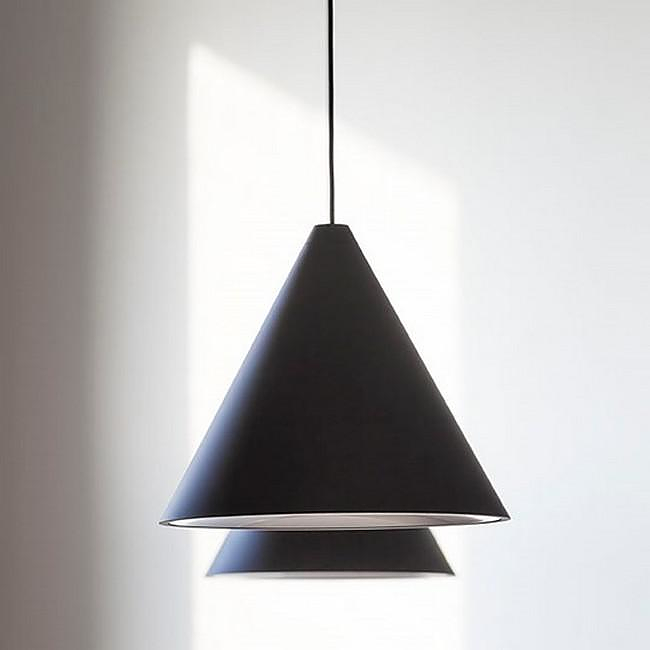 The lampshades have either conical or spherical shapes and feature a LED light source. 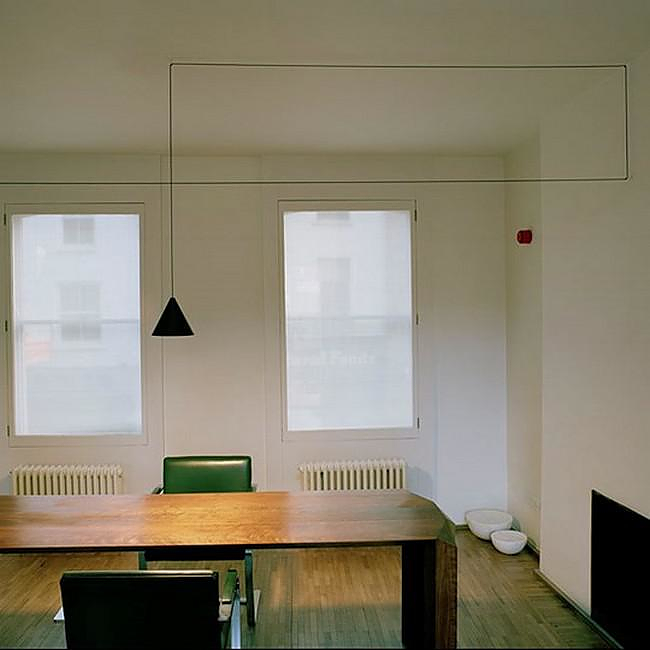 Michael Anastassiades owns his own studio branded with his name in London, since 1994. 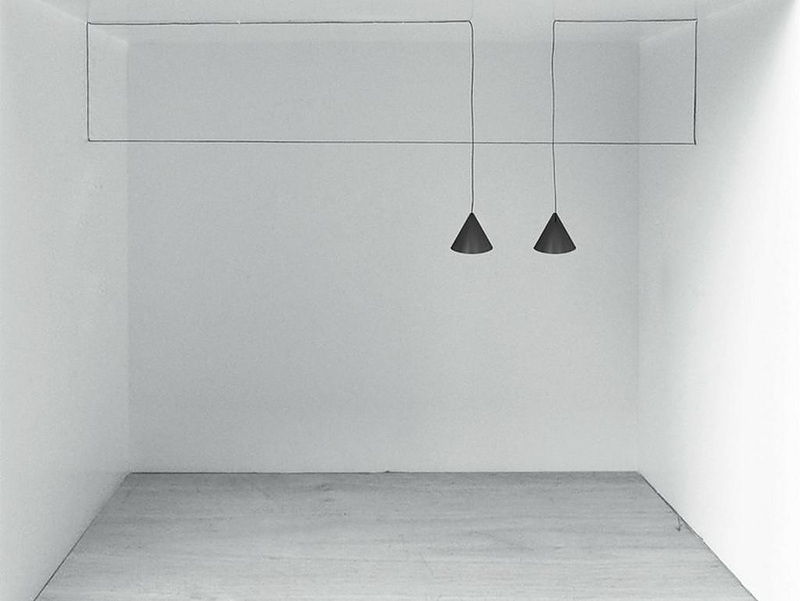 Through his work in products, furniture and environmental design explores contemporary notions of culture and aesthetics. 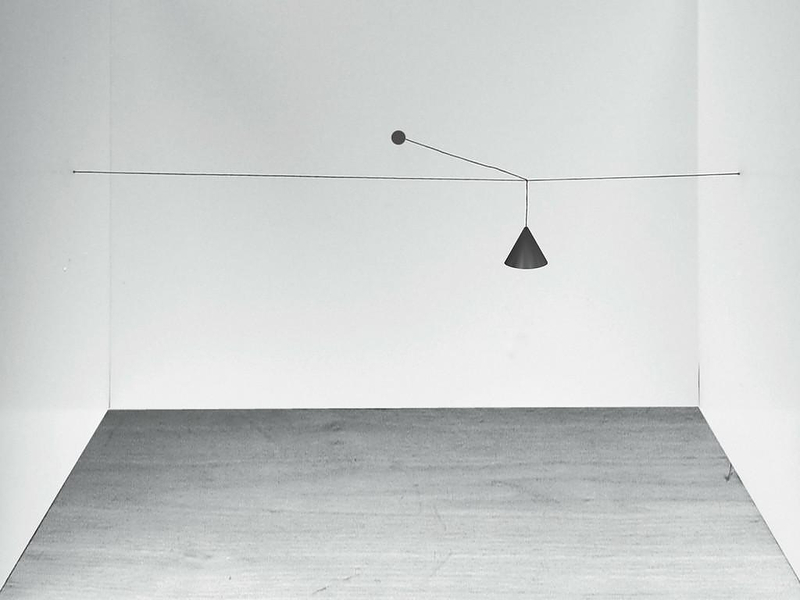 Positioned between fine art and design, his work aims to provoke dialogue, participation and interaction. 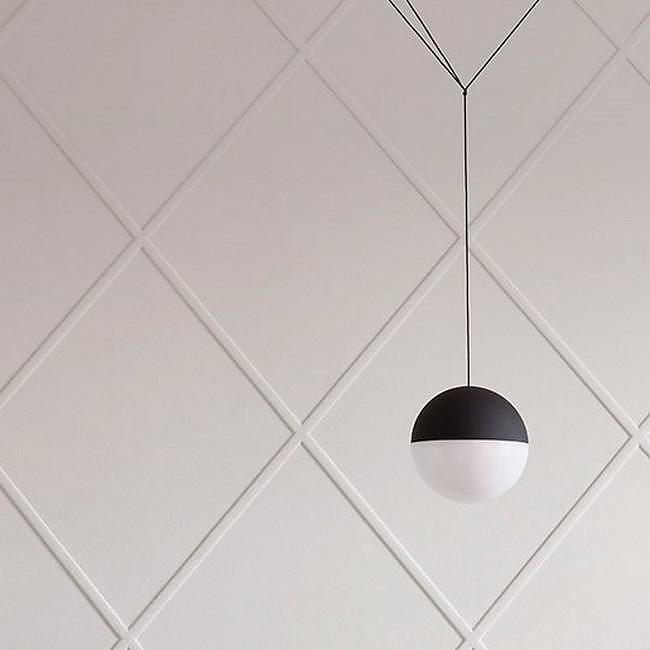 His creations are minimal, utilitarian and almost mundane yet full of a vitality one might not expect. 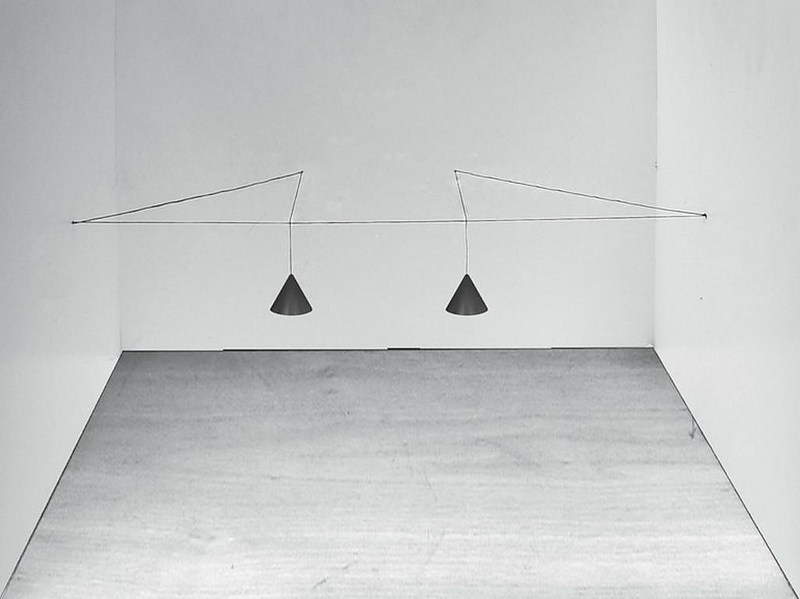 Anastassiades’ work is featured in permanent collection at the Museum of Modern Art, New York, the V&A Museum and Crafts Council, London and MAK, Vienna.